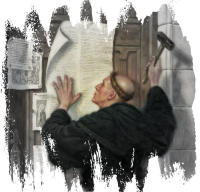 On October 31, 1517, a monk named Martin Luther posted a list of 95 complaints about the Roman church on the Wittenburg Church door. Over a hundred years after the martyrdom of John Hus, Luther had rediscovered the same issues and arrived at virtually the same conclusions. The Church, hand-in-glove with the State, was filled with corruption and abuse. Indulgences (slips of paper that acted sort of like “Get Out Of Hell Free” cards) were sold at exorbitant prices to pay for an unpopular and never-ending war, and to finance the lavish lifestyle of the wealthy and powerful. Anyone who opposed or even questioned the church was condemned as an heretic. Five years after the collapse of Lehman Brothers and the tanking of our economy, income inequality in America has accelerated dramatically. We’ve now hit an all-time high for income inequality in America, matching the era of the robber barons – and closing rapidly on the kind of inequality that exists in Third-World nations. Being super-wealthy automatically brings with it power, access to power, and the ability to influence government policy to your advantage. 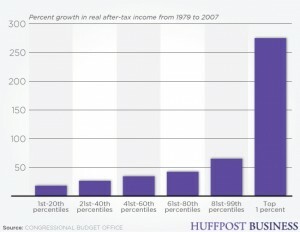 Both political parties are corrupted by this, and there seems to be no end to the change in policies that can be called “trickle-up economics.” This is an economy where policies and business practices are rigged to redistribute fair living wages away from workers and upward to those who already have more than they could spend in many lifetimes. Income disparity is at an all-time high in the US, equaling the period right before the crash of 1929. Yes, we are called to minister to the less fortunate. But is our responsibility limited to bringing in cans of food for Sunnyside Ministry? Does our responsibility as Christians end with a bit of help here and there to get folks through emergencies? Or does God also call us to wade into the difficult waters of advocacy, to call out those who abuse power to steal from the poor? The Bible is clear on this! Both the Old and New Testaments are radical in their defense of the poor and the weak against the wealthy and powerful. There are many variations of the following story, sometimes called the Story of the River Babies. One summer in the village, the people in the town gathered for a picnic. As they leisurely shared food and conversation, someone noticed a baby in the river, struggling and crying. The baby was going to drown! Someone rushed to save the baby. Then, they noticed another screaming baby in the river, and they pulled that baby out. Soon, more babies were seen drowning in the river, and the townspeople were pulling them out as fast as they could. It took great effort, and they began to organize their activities in order to save the babies as they came down the river. As everyone else was busy in the rescue efforts to save the babies, two of the townspeople started to run away along the shore of the river. Christians, we are called to go upstream and find those who are throwing the babies in the river! This entry was posted by PastorJohn on October 1, 2013 at 9:06 pm, and is filed under Church Year, Faithful Living, Future, History, Mission, Service, Uncategorized. Follow any responses to this post through RSS 2.0. Both comments and pings are currently closed.